Nadia Bolz-Weber is as close to a celebrity pastor as the ELCA has. I've gotten to hear her speak on two different occasions, first at the Extravaganza (a training event for youth workers in the ELCA) and later at the 2012 ELCA Youth Gathering. In February, I found out I was pregnant. Like so many other newly pregnant moms, I expected to be welcoming a baby into our house 9 months later - a few short weeks from now, actually. Instead, I miscarried a few weeks later. Shortly after my miscarriage, I made my most depressing Amazon purchase ever: A collection of books about miscarriage, loss, and grief. Among them was Mike Stavlund's A Force of Will: The Reshaping of Faith in a Year of Grief. 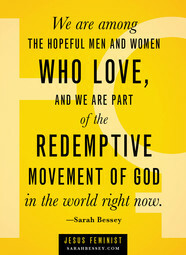 As a lover of memoir and an advocate for refugee ministry, Sarah Thebarge's The Invisible Girls quickly stole my heart. As you know, my very favorite kinds of books are those that leave me in tears one moment and cause me to laugh aloud the next. Carry On, Warrior: Thoughts on Life Unarmed by Glennon Doyle Melton is definitely one of those books. In our culture, everyone wants to be great. Students do. Their parents do. And if we're honest, we do too.